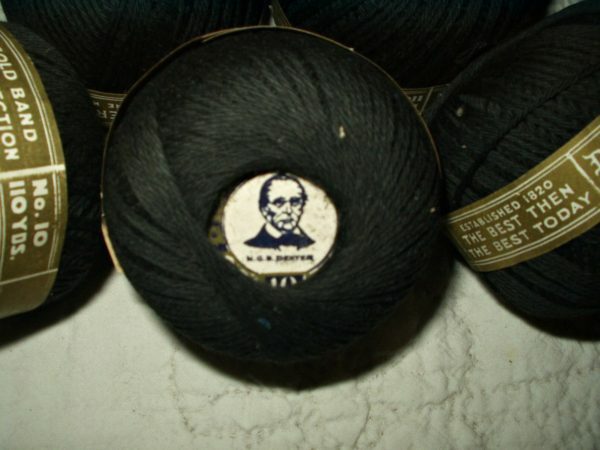 Five unused Dexter label black cotton knitting thread balls in unused condition. Dating from the early 1900’s (Victorian to 1920’s), the yardage on each ball is 110 yards No #10 thread. Excellent condition including the paper label wrapped around each ball. Printed label on each ball, also, of Grandpa Dexter.